This week’s WordPress Photo Challenge theme, Horizons, came to my attention courtesy of fellow blogger Debbie of Travel with Intent. Go west towards the horizon. 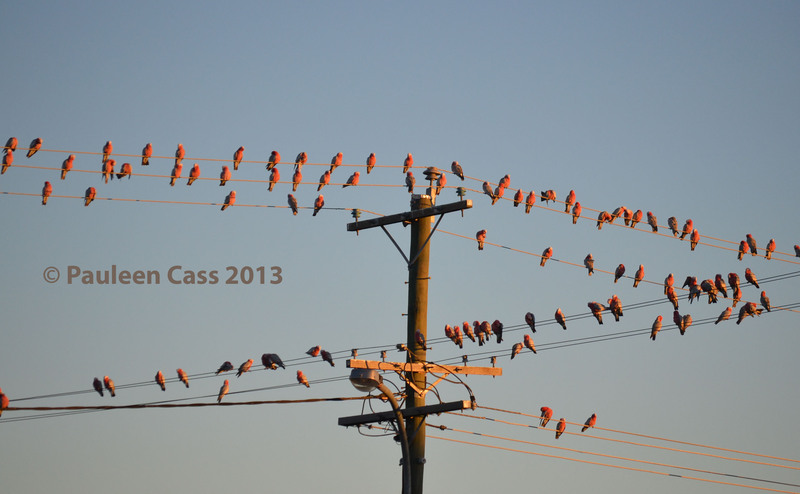 Australia’s outback spaces have such vast skies and distant horizons, how could I possibly resist the challenge. 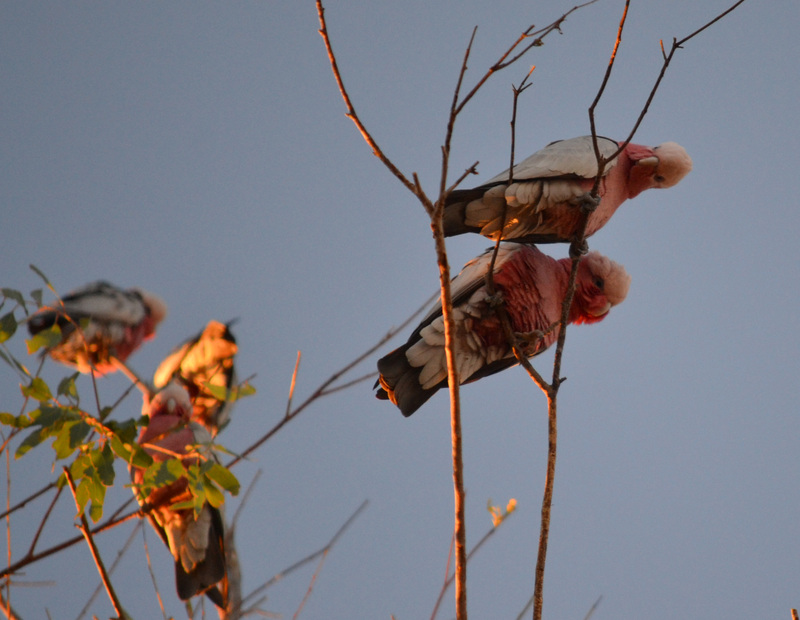 So here is my offering, taken a couple of years ago en route from Darwin to Brisbane. 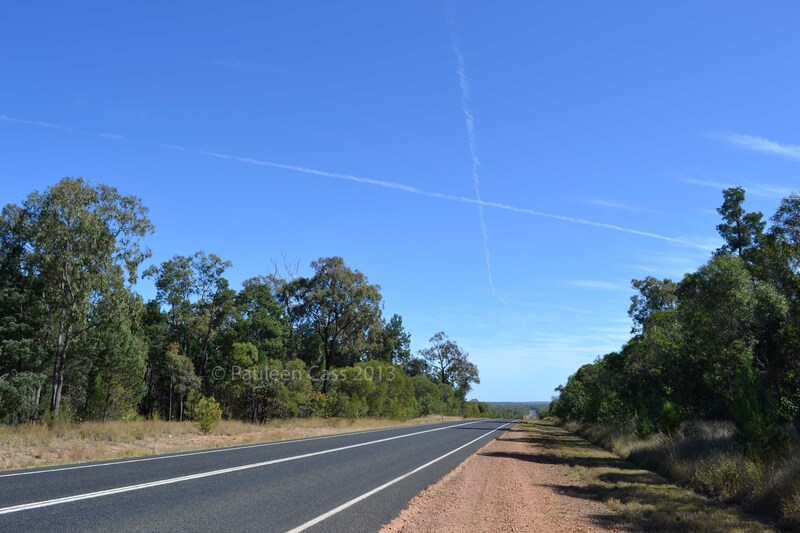 This image captures the road west of Wallumbilla in Queensland. The X-marks-the-spot contrails were of course just one of those serendipitous moments. I love the sight of roads disappearing into the distance, leading you towards new places and journeys. 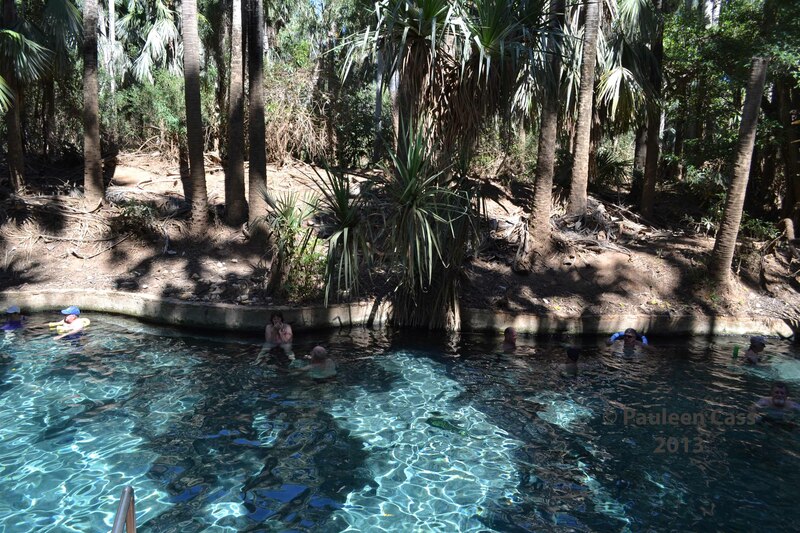 Yes it looks like a swimming pool and it has been formed into a man-made pool, but it’s a natural phenomenon: hot springs at Mataranka. It’s ages since we’ve been here but it was a great stop on the final day of my July drive home. Being the Dry Season the weather was in the balmy late 20s so a warm dip was just perfect and so refreshing. Don’t you wish you could be here? 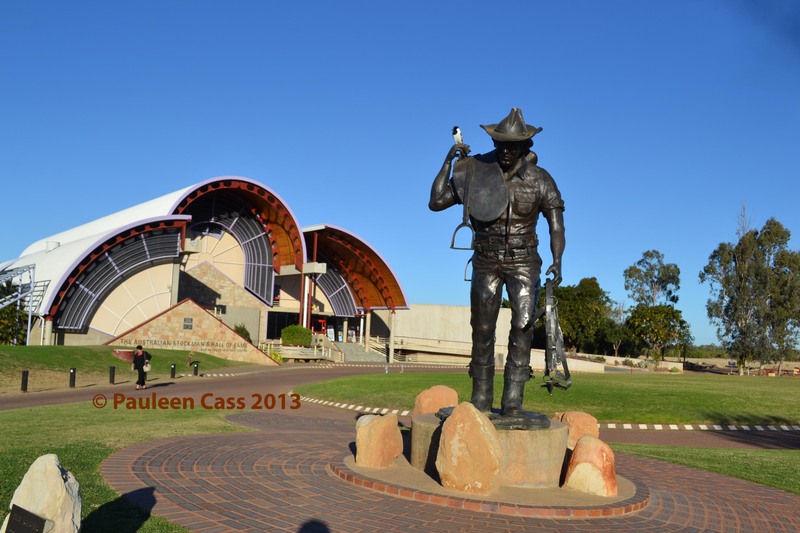 You can even combine this interlude with a bit of culture as it’s closely associated with an autobiographical novel many Australians will have read: We of the Never Never by Jeannie Gunn, about her life on Elsey Station. There’s a model of the homestead near the parking lot. One of the hazards of trying to cover over 1000kms a day driving is that there’s not much time to stop and take in the sights along the way. 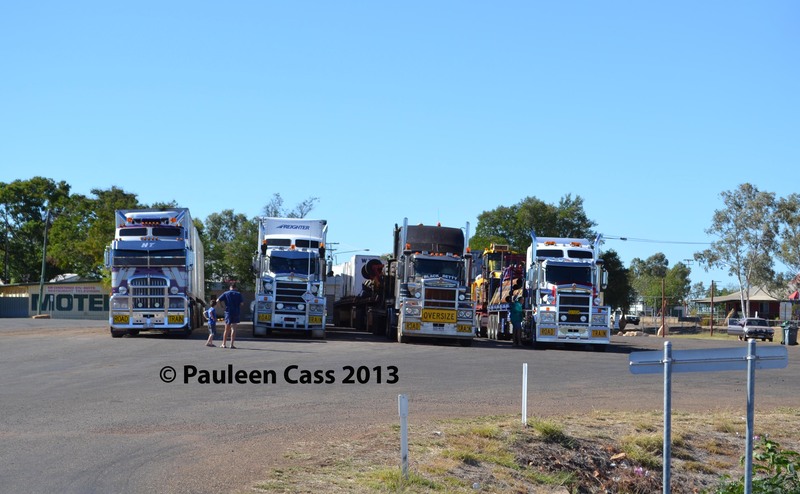 On my way home from Queensland I was driving the last half on my own so making time for breaks was a good idea. 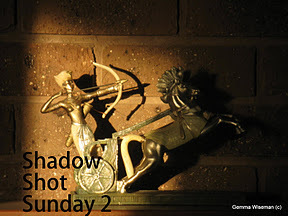 I may have been tireder than I thought -this image is a “bit” wonky. It was the first time I’d ever stopped for this memorial stone but although uninspiring of itself, the achievement behind it was staggering. 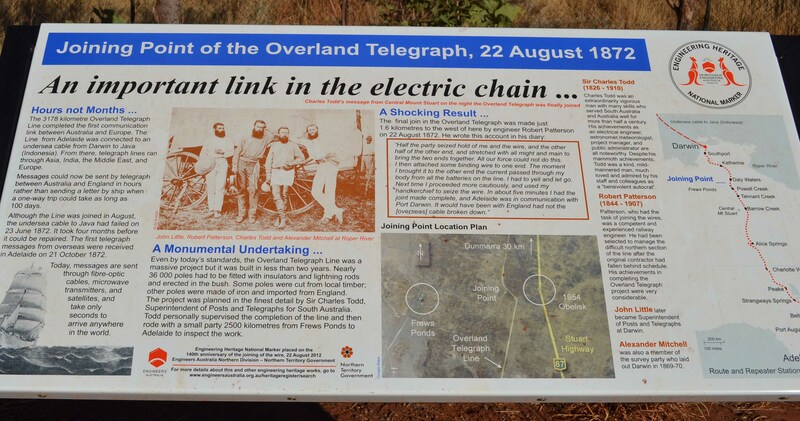 This memorial commemorates the opening of the Overland Telegraph Line on 22 August 1872 (should have posted this last week). Working from both the north and the south, both ends of the line were connected on this day: an amazing achievement under any terms and even more so considering it was completed in two years!. Australia was no longer distant from the happenings of the world, and as with the internet today, became part of a world-wide web of information at the click of the keys. It’s difficult to imagine the sheer commitment of the men who built the line over thousands of kilometres in some of the world’s most inhospitable and then-remote locations. 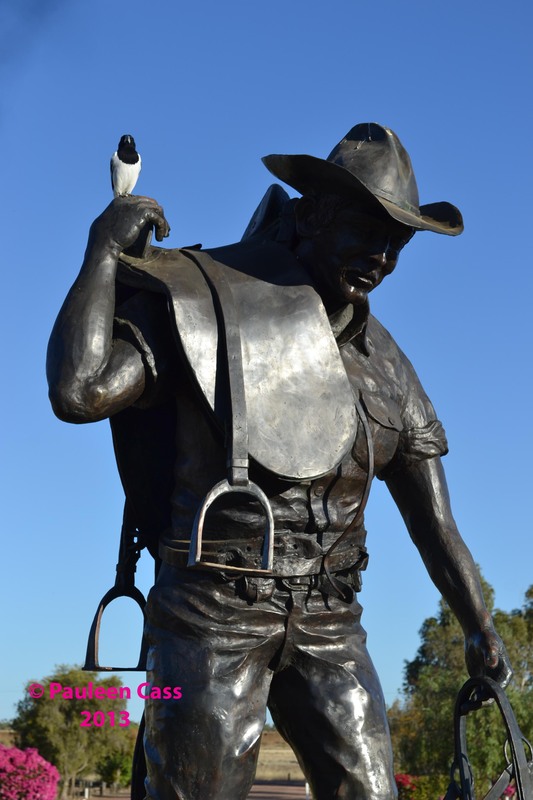 Their hard work and dedication changed Australia’s connections with the world. On a domestic note, can you imagine the colour of their clothes after working in that red dirt for months on end. My thanks to Helen Smith for her Facebook entry which alerted me to the anniversary last week.